With fishing, hiking, camping, boating, swimming, picnicking and general relaxing on the twelve miles of shoreline along sparkling Lake Murray, Dreher Island State Recreation Area has something for just about everyone. 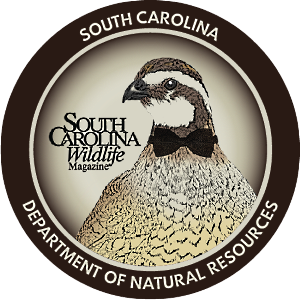 The park, which consists of 348 acres spread across three islands, is leased to the South Carolina Department of Parks, Recreation and Tourism by SCE&G under a long-term land lease. SCE&G owns Lake Murray and leases this land as part of its environmental stewardship efforts, which strive to create ways to enjoy the natural environment as a means of protecting it. For Dreher Island, this philosophy seems to be working. The park is not only full of visitors enjoying the area but also teeming with wildlife. One of the most charming examples of the healthy environment within the park is the old great blue heron that nests just outside the park's tackle shop and seems to be waiting there on the dock to welcome visitors. The trip to Dreher Island State Recreation Area is surprisingly easy and well worth the short 30-mile drive from Columbia. To get to the park, take I-26 West toward Spartanburg and watch for Exit 91 (Columbia Avenue/Chapin). Along with the exit sign, you will also see a brown state park sign marking the way. These park signs make finding Dreher Island easy, and you'll see one at every turn you need to take. After you exit, turn left on Columbia Avenue (SC Highway 48) heading toward Chapin. Continue on Highway 48 until you round a curve by the Chapin Recreation Center, where you will follow the road around to your left until you cross some railroad tracks and come to a light. Turn right here on US Highway 76. Watch for the park sign pointing to the right, because the highway is not well marked. You will pass Chapin Center, a large shopping center on your left, and soon after will turn left onto St. Peter's Church Road (SC Highway 29). Go about 4 miles until you see a park sign pointing left onto Dreher Island Road (SC Highway 231). You will be on Dreher Island Road for about 3 miles. After you cross a bridge over the lake, you will see a sign saying that you have entered Newberry County. Begin watching for the next park sign, which will point left onto State Park Road. Follow this road for 2 miles until you get to the entrance of the park. Park hours are Monday through Sunday, 6 a.m. until dark (and until 9 p.m. during daylight-saving time). As you enter the park, you will come to a small ranger station where you will need to stop and pay the park fee. This is known as the "iron ranger" because it is often unmanned. Admission fees are $2 for adults and $1.25 for South Carolina senior citizens. Children 15 and younger enter free. Simply take one of the envelopes available at the station, put the fee inside, tear off the tag for display in your car, and drop the envelope in the slot of the metal box. Fees go directly back into the maintenance of the park. Dogs are welcome as long as they are kept on leashes no longer than 6 feet. If you happen to forget bug spray (a must), suntan lotion, cold drinks or almost anything else you might need, you will most likely be able to find it in the tackle shop on the left as you drive into the park. The shop also offers free fishing rods and tackle for the day as part of the park's "loaner program" established with the S.C. Department of Natural Resources. Fishing licenses are required and can be purchased at the tackle shop. As you leave the shop, continue driving along State Park Road. (You will come to a fork in the road - stay to the right.) Look for signs pointing straight ahead to the visitors center, which will be on the right. There is parking available here, as well as maps and other information on the park. Friendly and knowledgeable rangers can help answer any questions you might have. Picnic shelters can be rented at the visitors center and provide a great way to set up base camp for your day at the park. The fourteen shelters available range from $30 to $38 a day. If shelters haven't been reserved, they can be used on a first-come, first-served basis for free. Shelters consist of five picnic tables and two grills. They also have power and water. Some of the shelters are located in the shade of the woods, but most are on the lake and offer easy access for swimming. Every two shelters share a bathroom that is open when at least one of the shelters is rented. There is also a community building available for larger groups and several playgrounds for kids. The park features three trails for those who enjoy hiking. 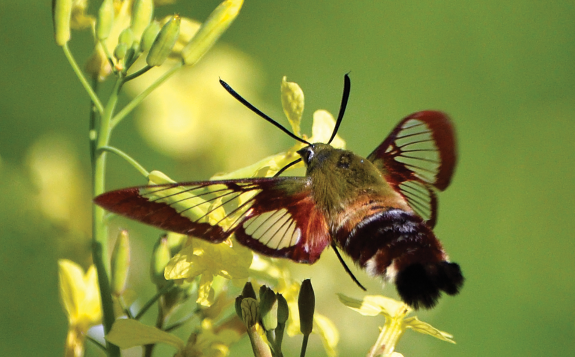 The trails offer a close-up look at the beautiful landscape and wildlife of the park. 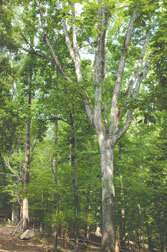 From Shelter 4, you can easily reach the .25-mile Billy Dreher Nature Trail. 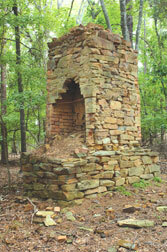 This short trail runs along the lake and takes you to the stone remains of the Billy Dreher home. Stay on the trail and it will loop around to where you started. There is also a .33-mile multi-use trail, designed for walking and biking, with its entrance and exit on State Park Loop. The longest trail, called Little Gap Trail and designed for foot traffic only, offers a wonderful chance to see the park at its finest. The trail begins at Shelter 7 (coming from the visitors center, turn left onto Red Maple Drive), where you will see the trailhead, parking and a trail map. It takes about 90 minutes to make the 2.1-mile hike at a leisurely pace and is time well spent. Comfortable walking shoes, water and bug spray are essentials for the hike. As you set out, notice the variety of trees, which keep the trail surprisingly cool. Loblolly pines, sugar maples, red maples, flowering dogwoods, white and red oaks, yellow and tulip poplars, hickories and cedars are some of the trees you might see. The trail is well marked with arrows along the way. You will begin to notice that the trail opens up to the lake throughout the hike and offers spectacular views of the water. Watch for turtles, geese and wood ducks along these sections of the trail. Also, keep an eye out for red-tailed hawks, owls, white-tailed deer, foxes and rabbits. And, if you're really lucky, you might spot the bald eagle that nests near the park. "You can see nature at its finest out here," states park ranger Adin Fell. The trail is considered "moderately sloped," and there is the occasional fallen limb, but, for the most part, the hike is fairly easy. At the farthest point, a short loop takes you back around to the original path, which you will follow out to the trailhead where you began. This marks the end of the journey on Little Gap Trail. If you are left wanting more of Dreher Island after your Field Trip, the park also offers campsites with views of the lake, villas with full amenities, a marina with boat slips and three boat ramps. So, when you need your next getaway, know that the old heron is waiting on the dock to welcome you here. Carrie Young recently returned to her home state of South Carolina after spending time in Africa, France and Washington, DC, where she worked as a researcher for National Geographic magazine. Field Trip thanks Park Ranger Adin Fell for being so generous with his time and knowledge of the park and also James Fulmer in the park's tackle shop. 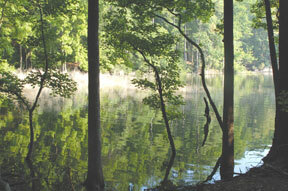 For more information on Dreher Island State Recreation Area, please visit https://www.southcarolinaparks.com/dreherisland or call the park directly at (803) 364-4152. To reserve one of the picnic shelters, call 1-866-345-Park. Reservations can also be made online.